To be the leading manufacturing company in impact businesses in the country. To develop excellent business in machining manufacturing that allows us to make family and remarkable human beings for society. We are convinced that if we want to see change in the world, we must first begin with ourselves. We must be professionals, competitive, become experts day by day in what’s meant for us, we mustgenerate innovation and better businesses that allow us to move and create resources that improve the wellbeing of others and the satisfaction of our customers. We believe that in order to achieve this, we ought toput people as the center of our business and create strategic alliances, that seek to form family with our collaborators and our clients, generating impact business that makes it possible for us to prosper, have good profitability and better opportunities. A long path lies ahead, but we know we need to measure our progress day by day, to be able to demand growth, transformation and improvement. Thus we can encourage better human beings for society and contribute to building a better world. We generate impact business: We seek to generate business that delivers excellent profits to the company, value to society and welfare and growth for our people. We build family: We’re in search of clients that believe in our philosophy and our values, so that we can offer them a strategic ally and solid support in their manufacturing business to a much deeper extent that generates wellbeing. We professionalize ourselves day by day: We become experts in what we do, improving with every single experience, thereby maintaining us in constant evolution and training. We drive innovation: We know that in order to provide greater value to our customers we must remain in constant innovation in everything we do. We seek meaning for each project: We operate so that the entire team involved in every project is aware of it’s motive, so that they can find a deeper meaning in their work and so that the level of responsibility stays high. Passion: We're always in seek of a profound meaning that moves us to do everything with enthusiasm and energy. Responsibility: We embrace each project as if it were our own and commit to it 100% in order to deliver it in a timely manner. Honesty: We are sincere and we work to fulfill our commitments. Fidelity: We are firm and constant in the agreements we establish. Punctuality: We take every manner seriously and are disciplined to reflect that in our punctuality. Take a look at our trajectory of the past 35 years. Now your company can be one of the many companies that count with solid support in the manufacturing of their products. Maintaining the reliability of our work team and meeting our customer’s demands for high precision is only possible through the implementation of our program "Induction to the Competitive Culture ICC®" which we designed and launched in 2015. 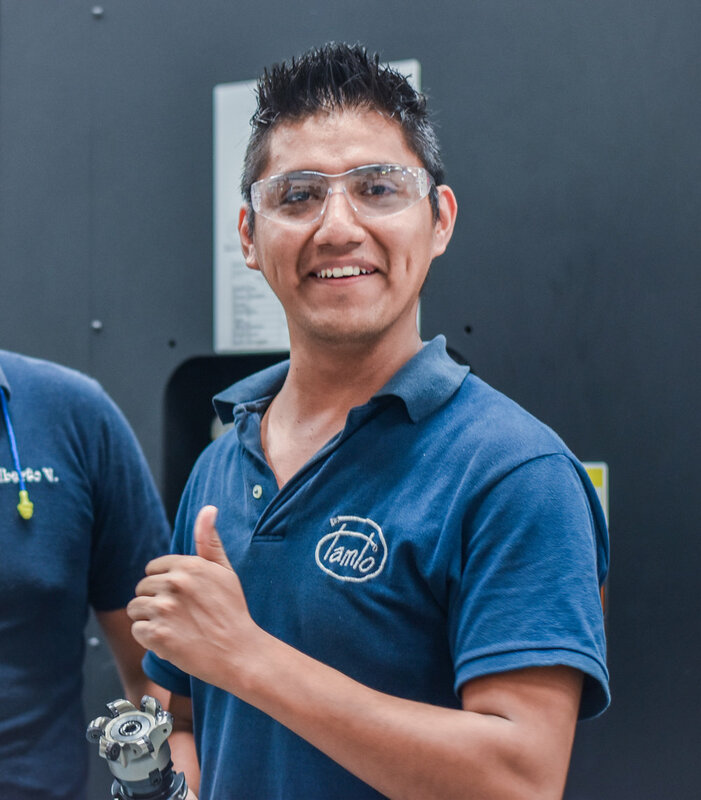 It consists in seeking the professionalization of our people, not only in their respective technical areas, but also in their personal, cultural and social, which are necessary to have balanced people, whom are happy and focused on doing responsibly what they’ve been assigned. Thereby, we have a solid trustworthy team capable of giving you the reliance you need.